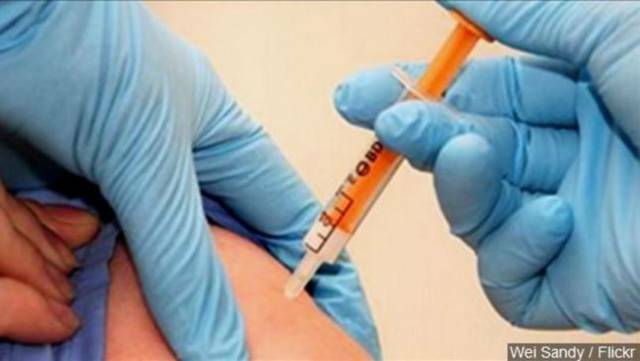 MANSFIELD — Richland Public Health recommends everyone age 6 months and older get an influenza (“flu”) vaccine. This recommendation follows Center for Disease Control and Prevention (CDC) guidelines. The Health Department will have two flu vaccine clinics for Richland County residents: Oct. 18 from 4-7 p.m.; Oct. 25 from 10 a.m. to 1 p.m. Both clinics are walk-in (no appointment needed), at Richland Public Health, 555 Lexington Ave., Mansfield, in the Corley Room (lower level, rear parking lot). Richland Public Health pricing for flu vaccine is $36 if paying by cash or check. Prices may vary for those e 65 and over who will receive a high dose flu vaccine. Richland Public Health accepts Anthem Blue Cross Blue Shield, CareSource, Humana, Medicare/Medicaid, Medical Mutual, Molina, Paramount, and United Healthcare. There are no copays when using these insurances for billing. Please bring your insurance card and a photo ID. Richland Public Health flu vaccines also are by appointment and walk-in at the Public Health Clinic. Call 419-774-4700 to make an appointment. Richland Public Health Neighborhood Immunization Clinics will also provide flu vaccines for children 6-months through 18-years-old beginning in October. Call 419-774-8115 for dates, times, and locations. For additional information about influenza visit our website www.richlandhealth.org, call our FLU Hotline at 419-774-4553, or talk with your pediatrician or family physician. For special home-bound services, call 419-774-4540.